Bath Radiology Group provides a comprehensive range of respiratory & cardiac imaging. Toby Hall, Caroline Styles and Graham Robinson have specialist interests in Chest Imaging and are able to provide advice and opinions on specialized chest imaging, including High Resolution CT of the chest (HRCT). They liaise closely with the Chest Physicians and Surgeons at weekly mulitdisciplinary and clinico-radiology meetings at the Royal United Hospital in order to ensure the highest standards of service for our patients. Additionally, we have developed in Bath a specialist satellite centre of the Royal Free Hospital for the assessment of pulmonary arterial hypertension, including chronic thromboembolic disease. Toby Hall and Dominic Fay offer specialist cardiac imaging opinions, providing coronary artery imaging with CT calcium score, full CT coronary angiography, and all cardiac CT, with level II accreditation with the British Society of Thoracic Imaging (BSTI). They liaise closely with the Cardiologists and Cardiac Surgeons in Bath and Bristol to provide a comprehensive service for patients undergoing cardiac investigations. The Chest X-ray remains a fundamental tool in the primary investigation of thoracic disease. 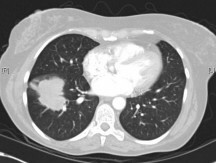 High Resolution CT (HRCT) of the chest. CT coronary calcium score and CT coronary angiography are non-invasive imaging procedures for the investigation of chest pain, incorporated in the National Institute for Clinical Excellence (NICE) diagnostic algorithm. 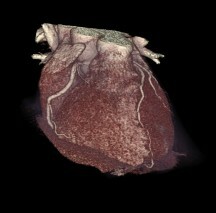 Cardiac MRI is an increasingly valuable tool for the investigation of heart disease. This examination is provided either in Bath or at a regional cardiac centre, and we would be happy to discuss appropriateness. We are always happy to discuss the potential usefulness of a radiological investigation for a given indication with any referring clinician.